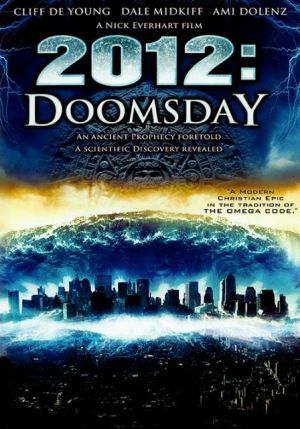 2012: Doomsday (2008) – another forgettable film in a cultural imaginary that is closing in on its final doom. Finally it has happened: the first report of a 2012-apocalypse movement turning violent. The so-called “2012 phenomenon”, an occultural apocalyptic mythology with roots in the psychedelic gnosis of Terrence McKenna, the New Age prophesies of José Argüelles, and creative fringe-archaeological interpretations of the Maya “Long Count” calendar, has for the most part been oriented towards peaceful prophecies of a “global change in consciousness” or a “massive awakening”. But with countless improvisations on the theme by UFO-logists, conspiracy theorists, survivalists, and other denizens of the darker segments of occulture, grimmer visions are hardly difficult to come by. Often enough, the boundaries between “positive” expectations of global consciousness change (or the messianic arrival of friendly ETs) and the “negative” expectation of polar shifts, massive geological destruction, or the final enslavement of humanity by evil aliens, is not that easy to draw. What happens if the promised change for the better does not occur? What are the strategies of rationalizing such an (after all, realistically anticipated) theodicy? Could it be that the evil aliens are already here, and always were, working in secret with the Illuminati, the Freemasons, the Bilderbergers and the world’s shadow governments to thwart the promised salvation?